It seems that the more people I talk to the more I see had it kind of rough last year and totally putting on their best attitude for this new year. It seems to be working as people are getting back into the swing of life and getting out of their slumps. I’m also evolving my fashion choices into loving a bold Spring wardrobe with lots of reds and blues. Mr. Jason Wu for Target helped kick start that palette with is uber cute blue dress with red stripes on the circle skirt. 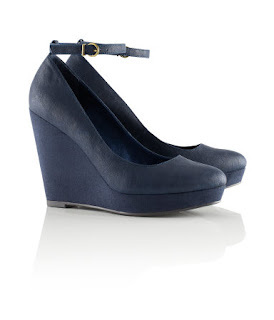 So very retro… *j’adore* And as such, I ran across these wonderful little navy blue mary jane wedges at H&M. 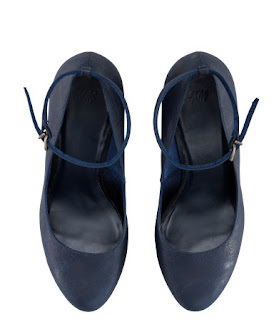 I saw something similar to these at Aldo last Fall and got caught up in life and missed them. When I saw these, I knew these were keepers!